(Boxford MA) Those who saw this coming are part of the same (very) small group that expected David Price to pitch so well against Houston. 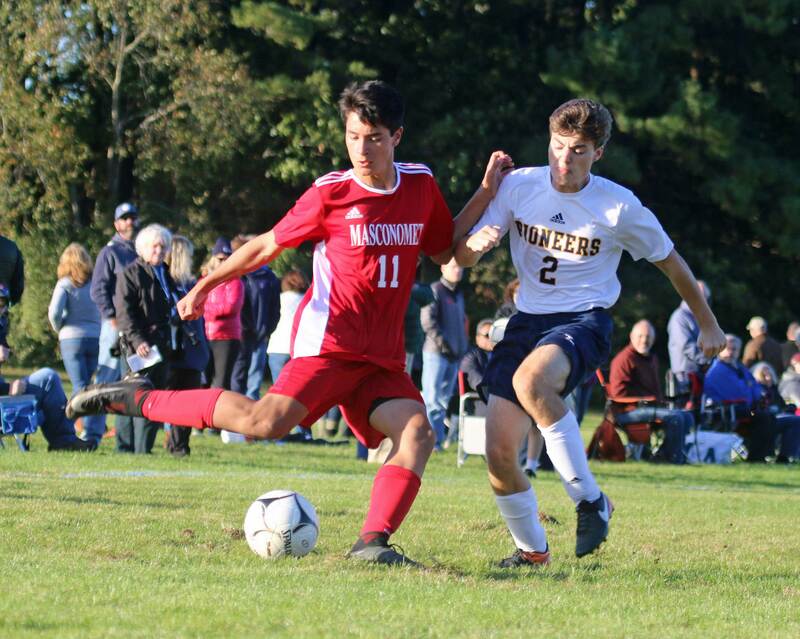 Lynnfield gained a 2-2 tie with Masco this afternoon at Masco. 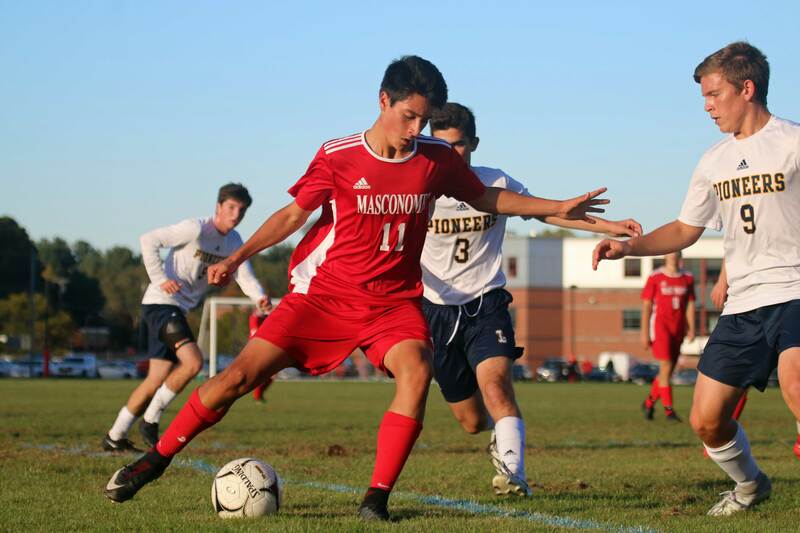 When it comes to Cape Ann League opponents, Masco doesn’t lose. Happened only once in the last 102 matches against CAL teams. That’s no typo! There had been six ties. Make that seven after today. Back to the improbability of these teams tying. 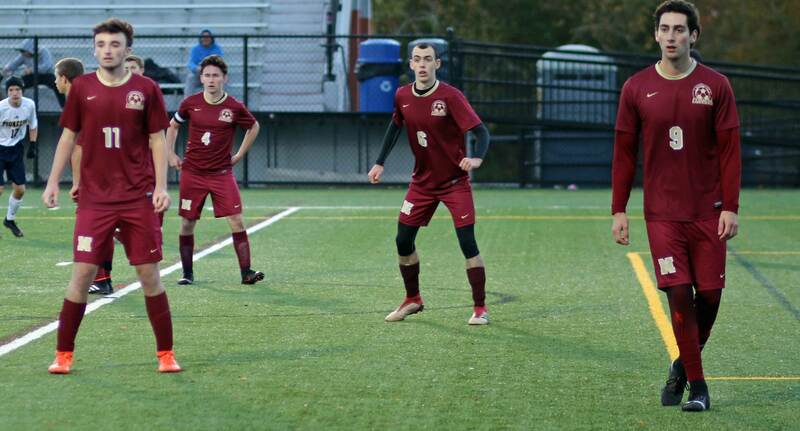 The Chieftains earlier this season had defeated the Pioneers, on their field, 5-1. 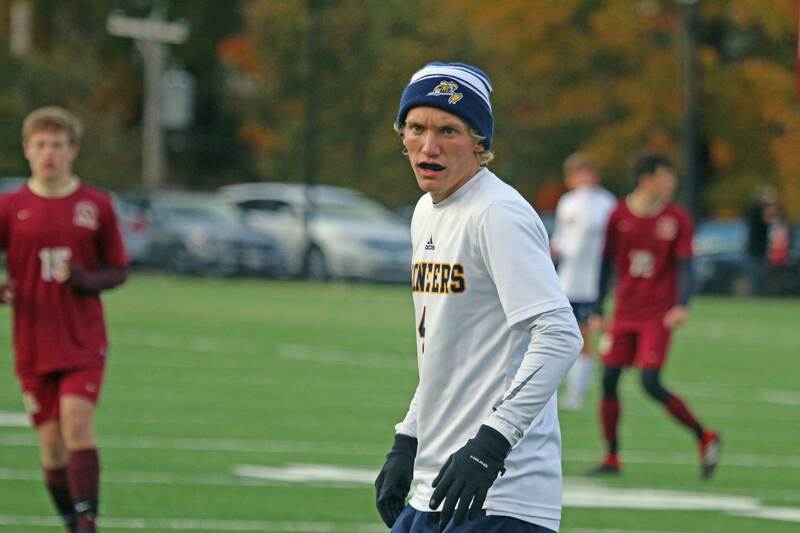 “The difference today was that in the first half we managed to get out, 1-1,” explained Lynnfield coach Brent Munroe afterwards. 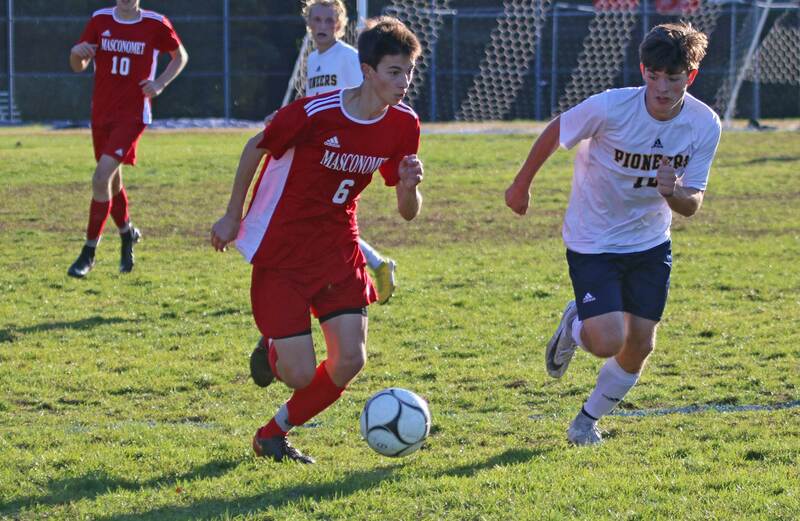 Understand that the Masco soccer field clearly has its good end and its bad end. 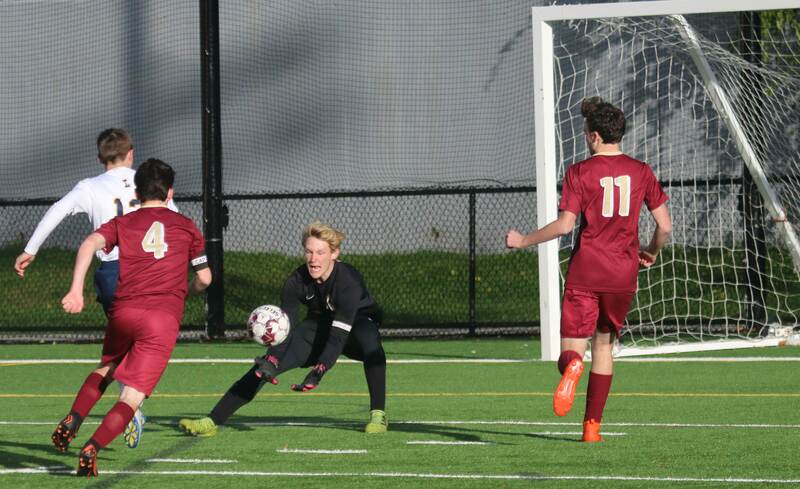 Defending the “bad” end involves looking directly into the sun, facing the wind, and being noticeably downhill. 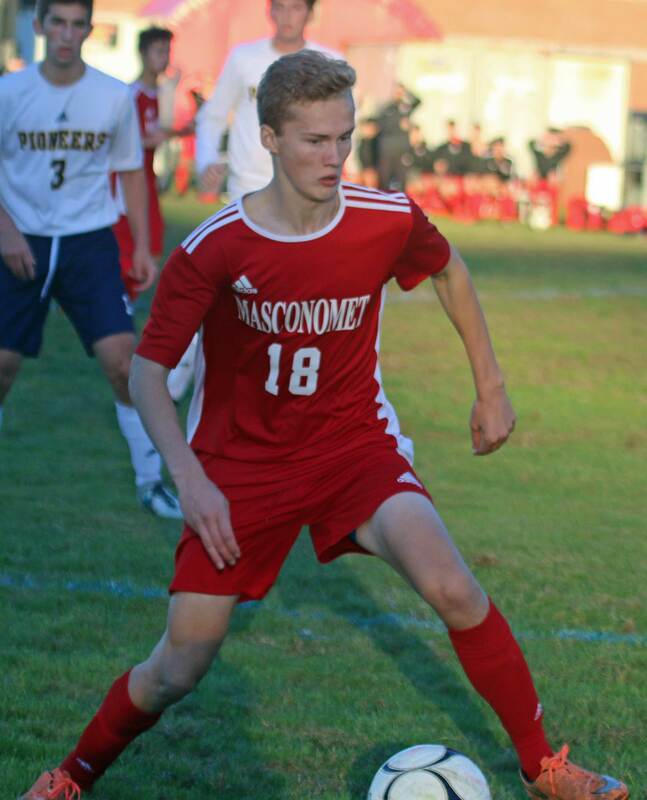 Masco broke the 1-1 tie thirteen minutes into the second half after a lot of good chances. 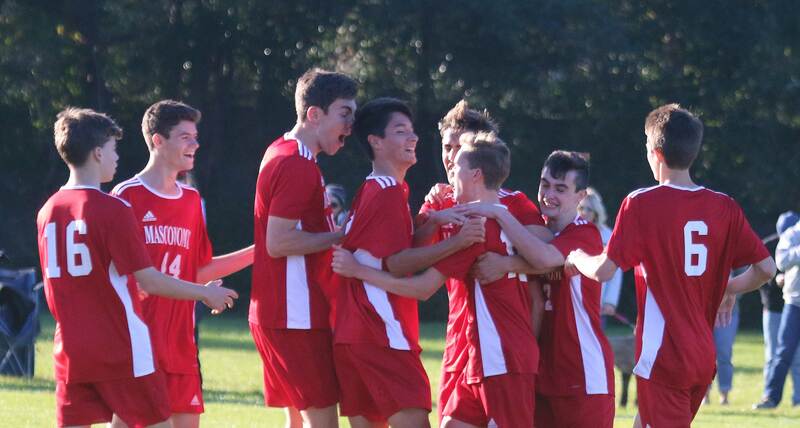 In the first meeting, the Chieftains (13-2-1) went from there to score three unanswered. Not this time. 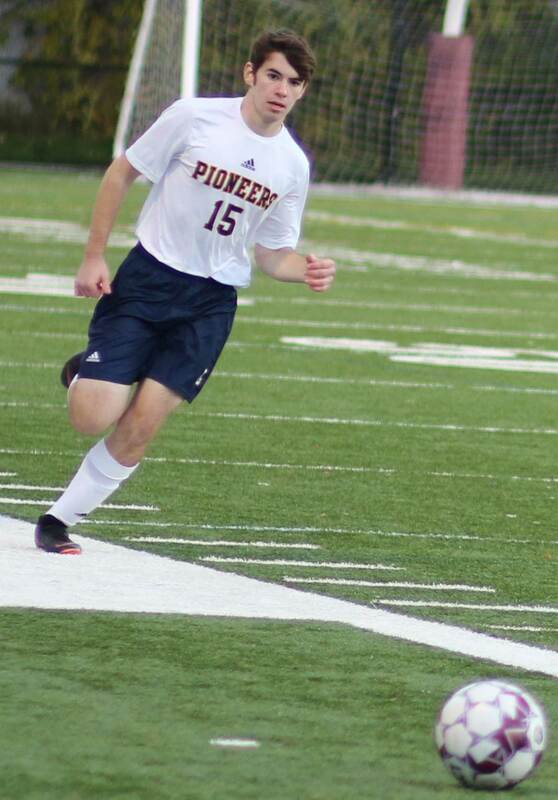 The Pioneers (12-1-2) hung tough today and with sixteen minutes left turned a corner kick into the tying goal. I expected the home team to turn up the pressure but instead it was the visitors with the better chances in the closing minutes. 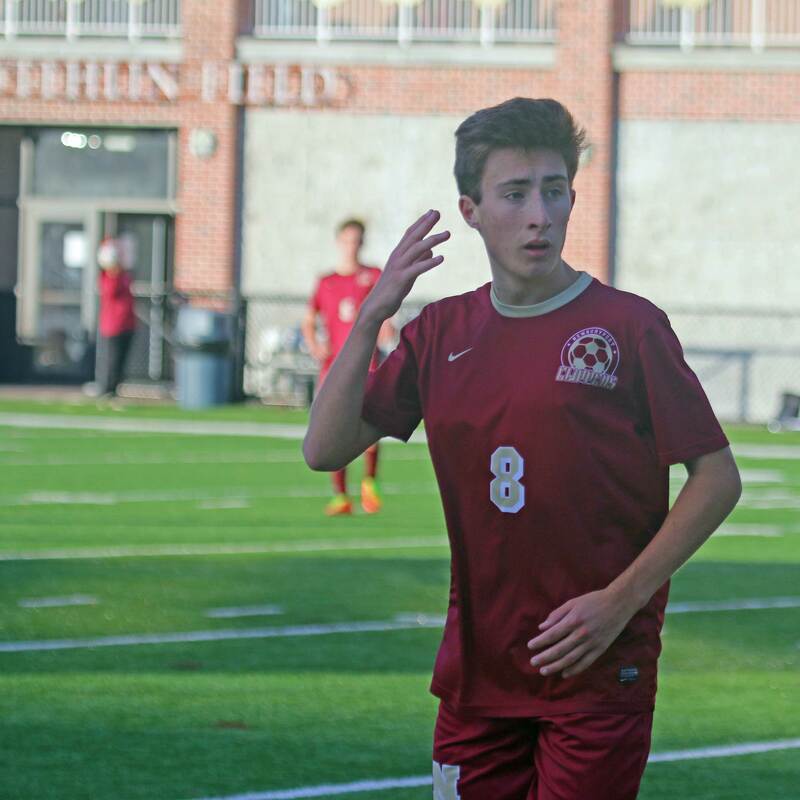 Nathan Bass tallied the first LHS goal. 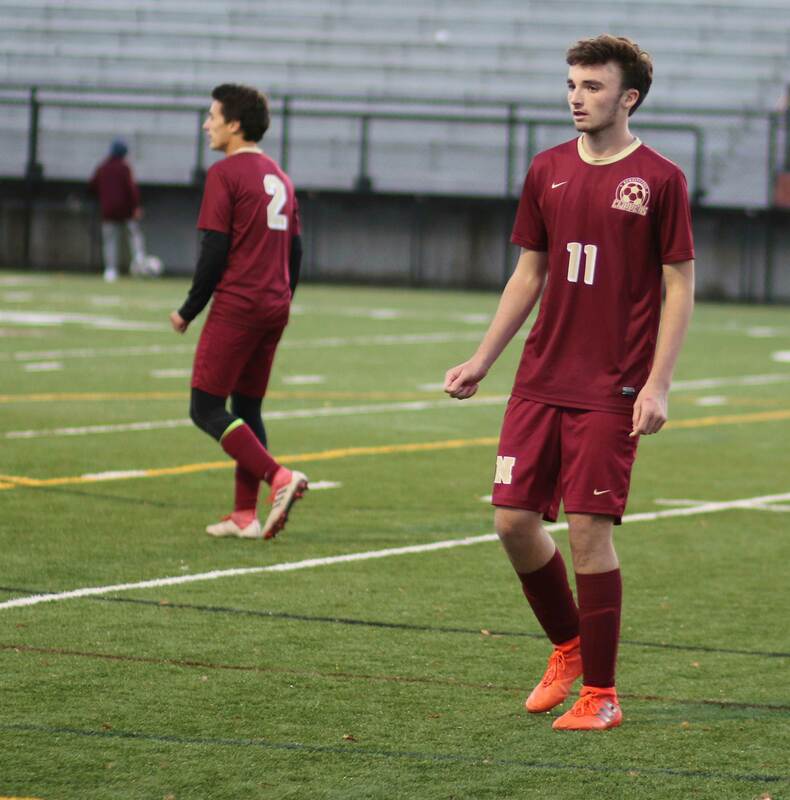 Nathan was at the heading end of a straightaway free kick. “It was a long ball into the box,” recalled Coach Munroe. 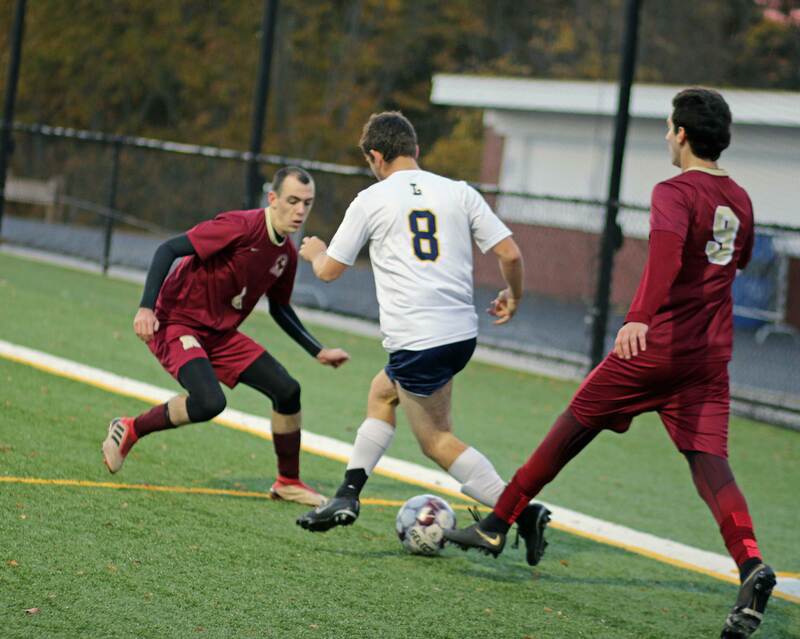 “Nathan Bass, who wins tons of head balls for us even though he is 5-6, went up, won it and put it in.” That was scored fifteen minutes into the game. 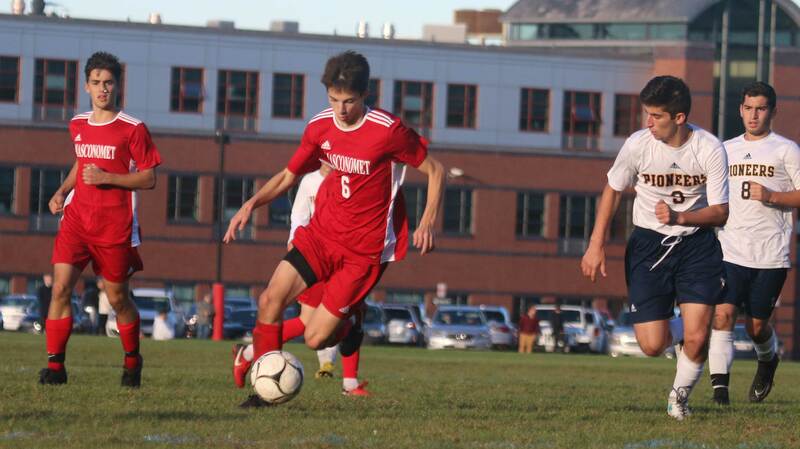 The Chieftains pulled ahead in the second half after misfiring on several glittering chances. 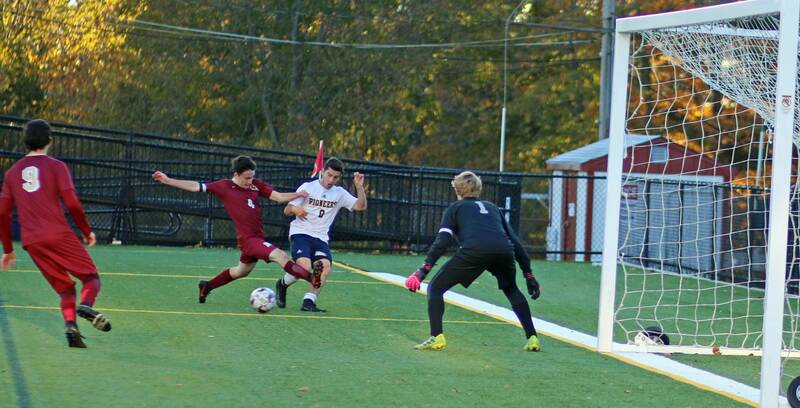 The goal came off a direct kick from Connor Fitzgerald. The kick was from straightaway and was high. 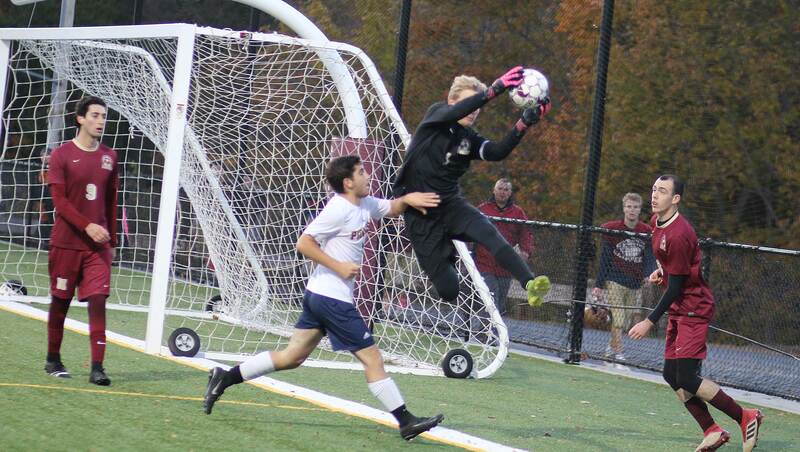 Both Lynnfield GK Jack Campbell and defender David Gentile went for it. 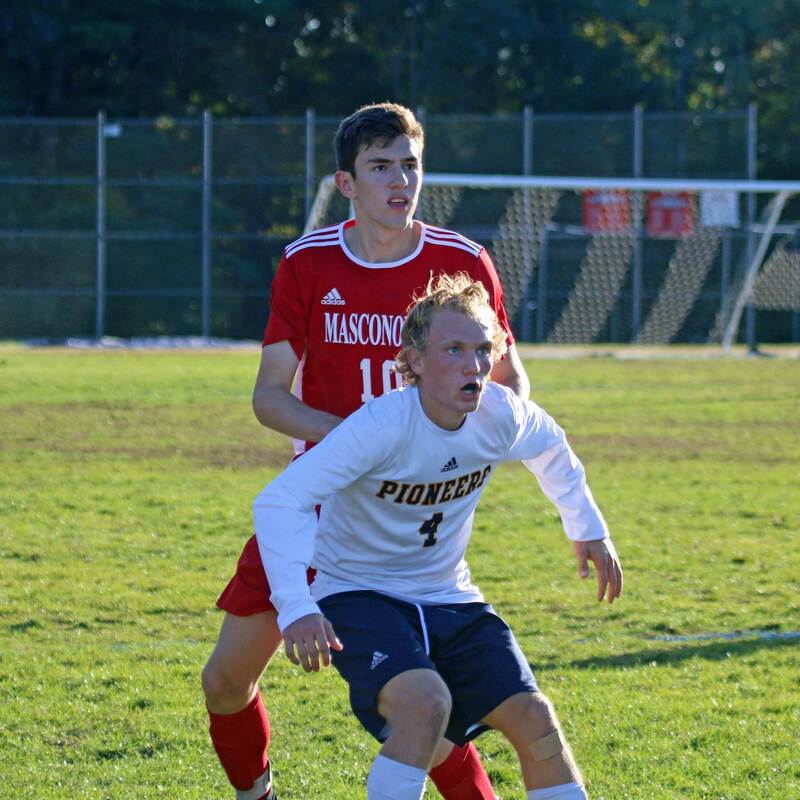 The result was that neither of them dealt with the ball cleanly leaving a juicy rebound for Masco’s Harry Kessel. 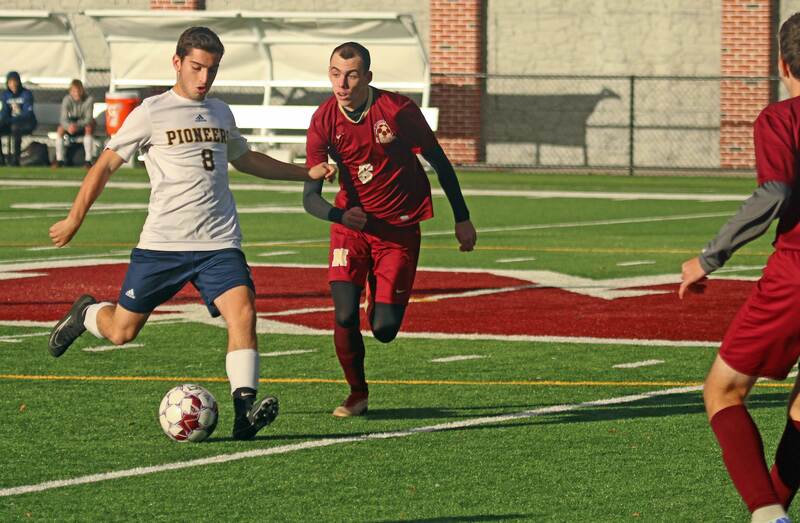 The Pioneers had an answer to the Masco goal eleven minutes later. 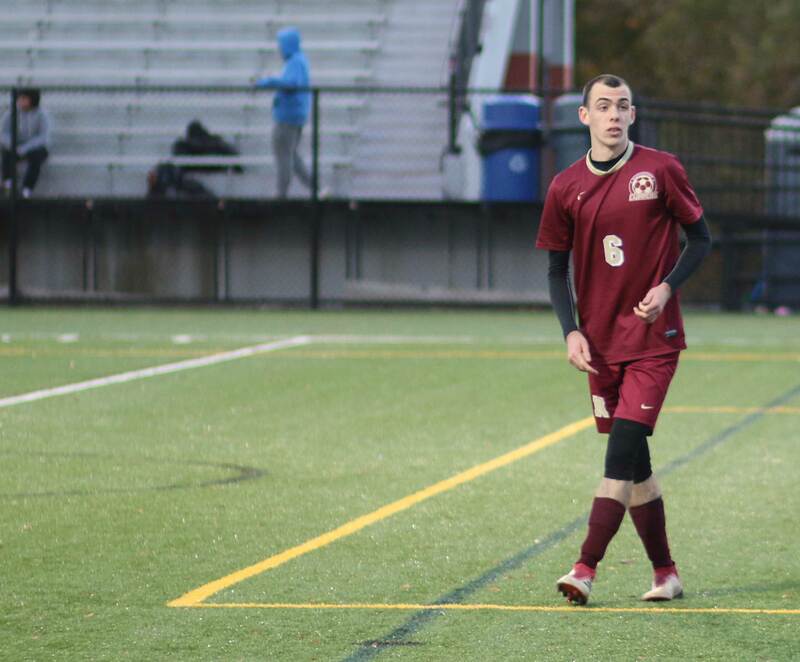 Jon Luders took a corner kick and the LHS senior sent the ball to the far post where teammate David Gentile got a head on it. 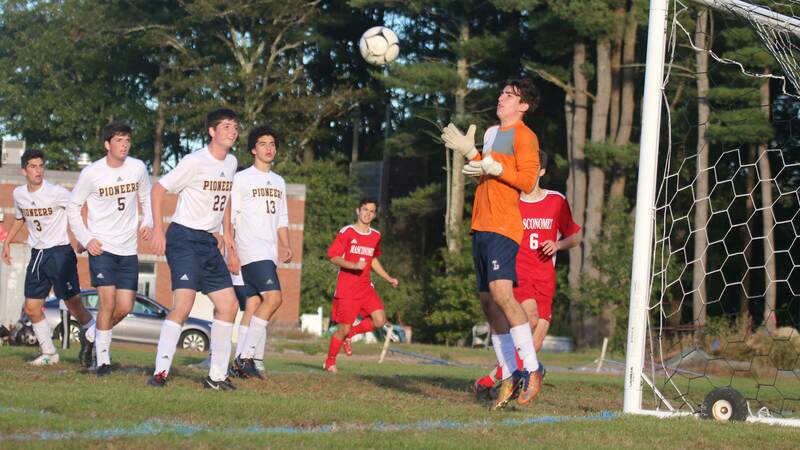 Masco certainly had the upper hand in scoring chances, but Jack Campbell, in the Lynnfield net, made wise decisions. 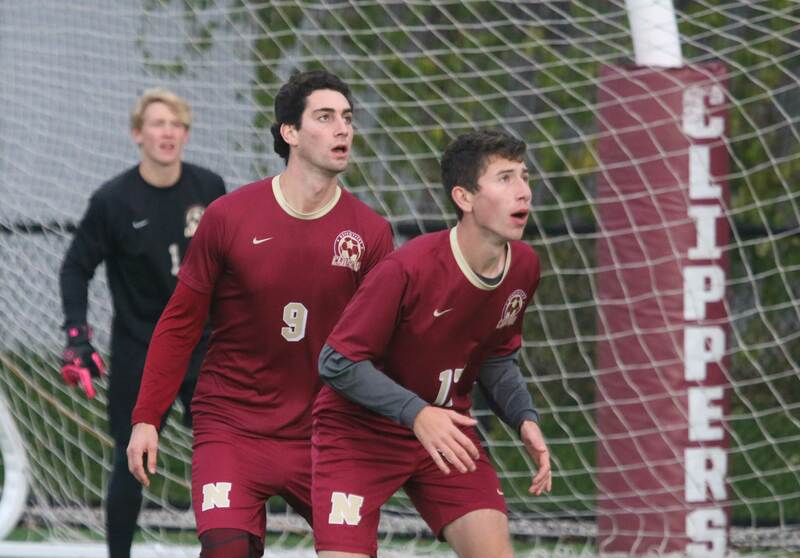 “Their goalie had great positional play,” said Coach Scarpaci. 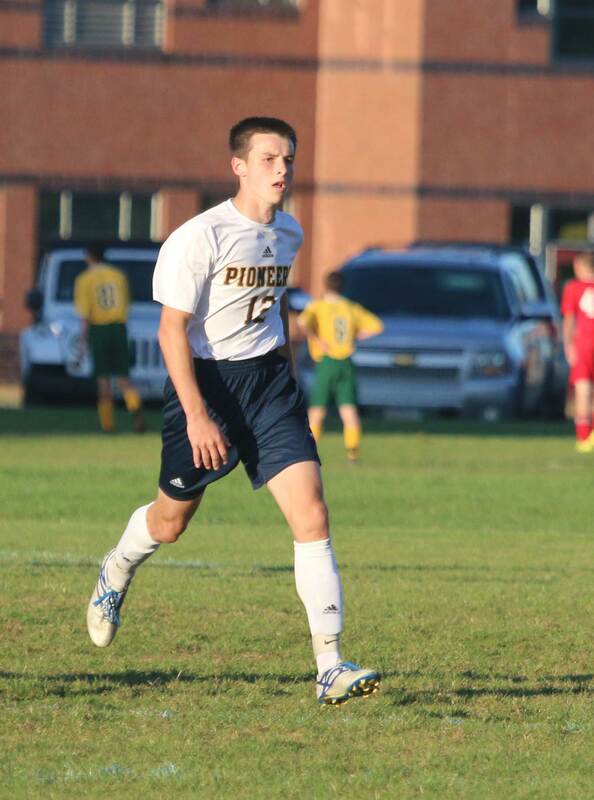 “Both of the kids that scored (Nathan Bass and Tom Buston) have about ten goals each,” said Coach Munroe. Jon told me that he has committed to going to Seton Hall next year to play baseball. “Soccer too?” I asked. “I’ll be sticking with baseball,” he said. 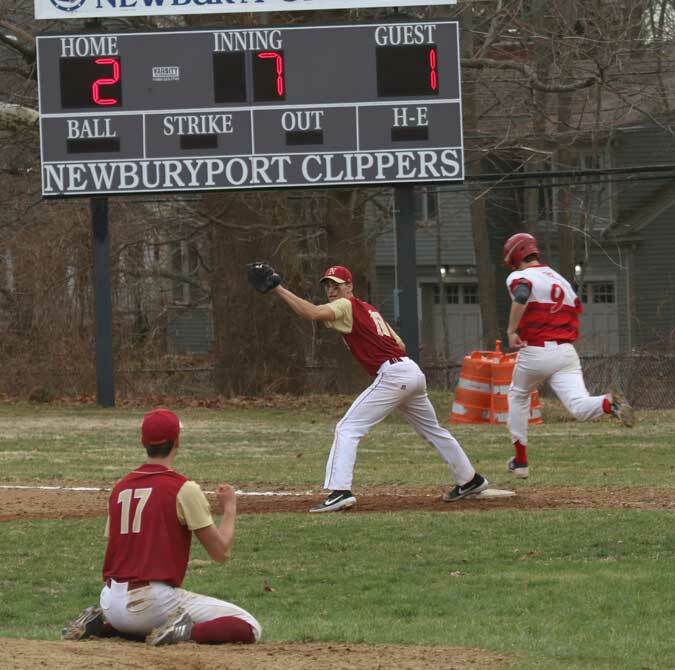 The D2 Chieftains have non-league losses to D1 St. John’s Prep and D2 North Andover. 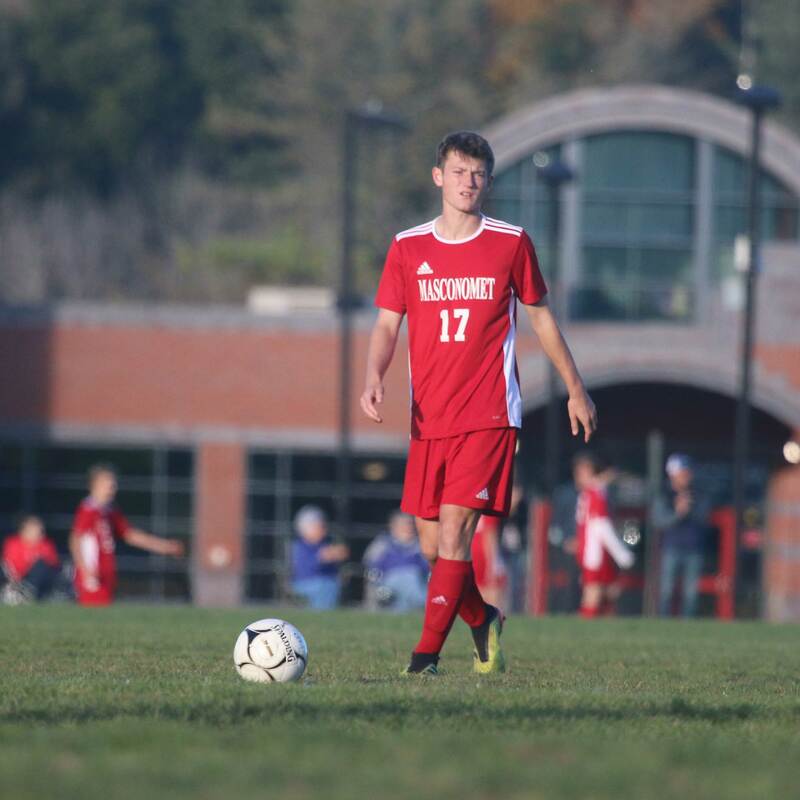 The last time I saw the Masco boys play was in the 2016 D2 title game versus unscored on Nauset. 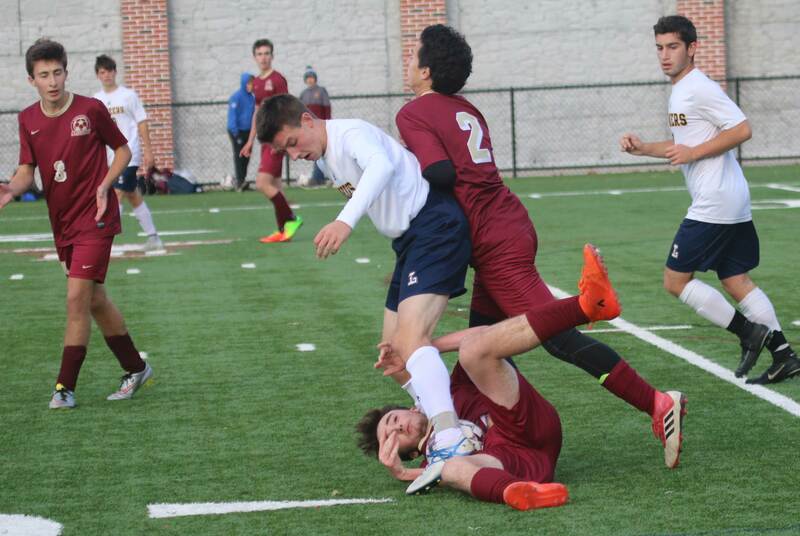 The Chieftains did get a score but lost 2-1 at Manning Field in Lynn. 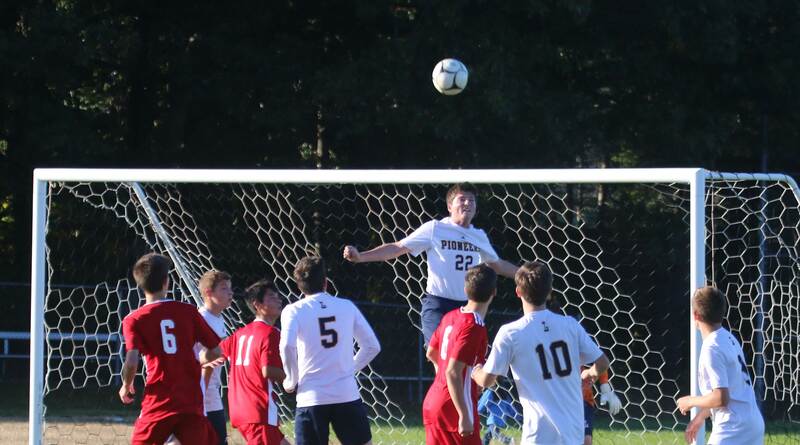 Lynnfield is unbeaten in their last seven games. 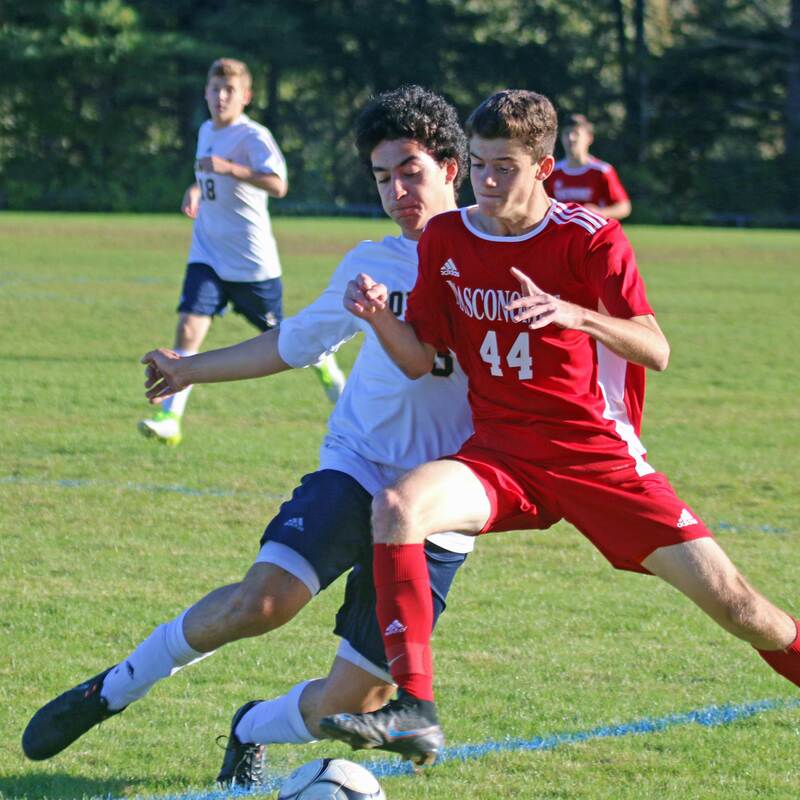 The tie today ended an eleven-game win streak for Masco. 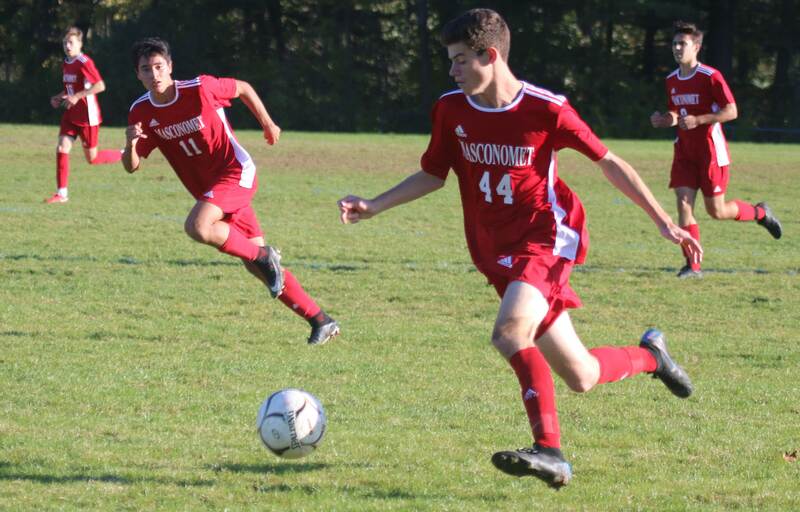 Masco’s only loss in the last 102 matches against Cape Ann League opponents was in 2015 against Pentucket. 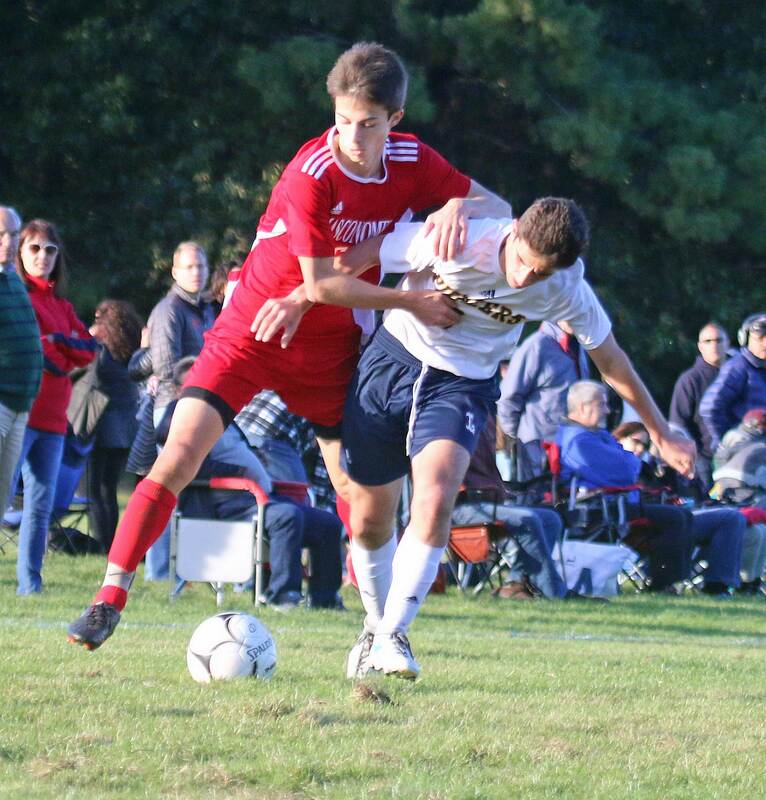 A key to the tie today for Lynnfield? Keeping high-scoring Josh Rubin in check. 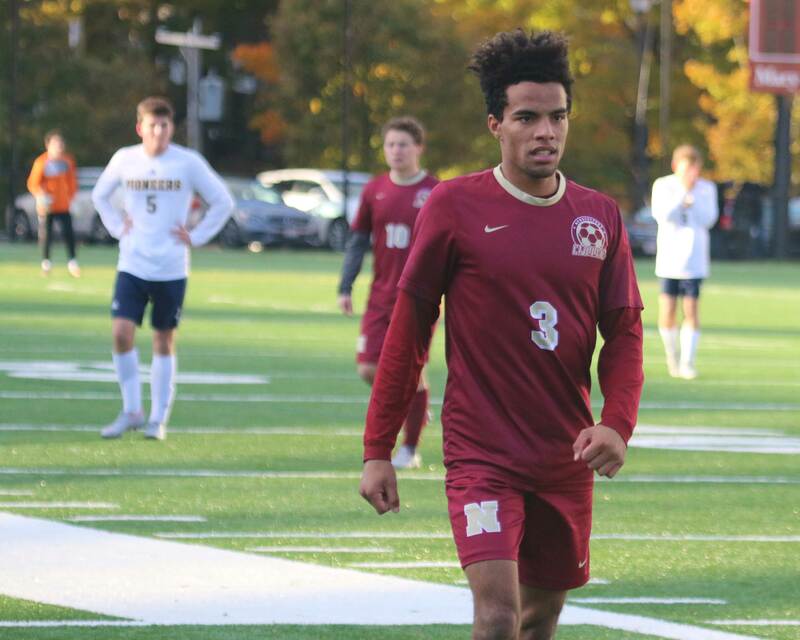 Josh has had several hat tricks this season including one against Lynnfield in their earlier meeting. Nice weather for the last part of October.